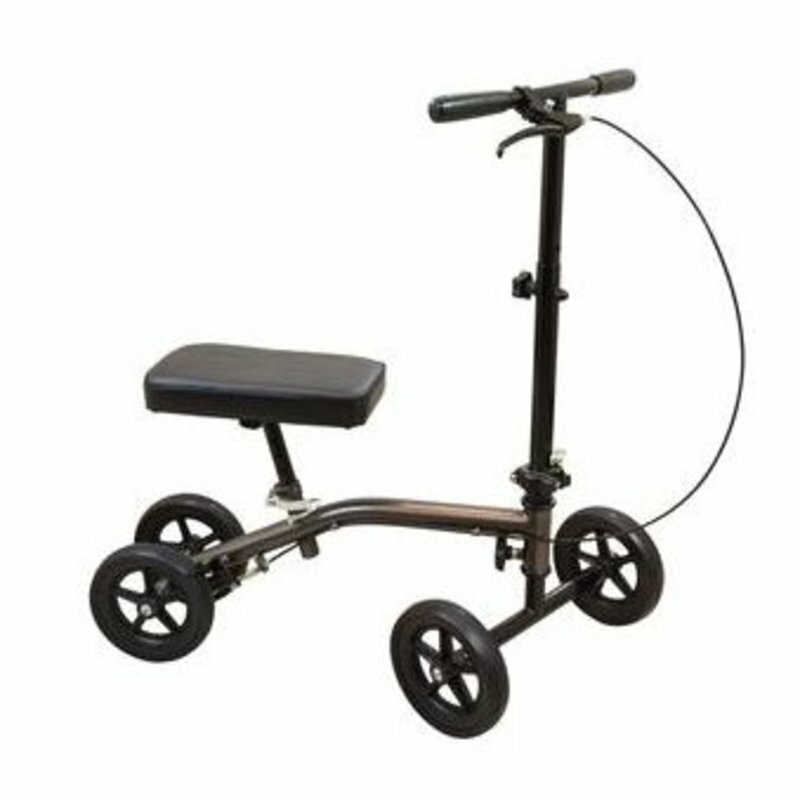 Economy knee scooter offers an affordable choice in mobility for those suffering from an ankle or foot injury. The frame and knee pad are manufactured for worry free use. It can be steered for increased maneuverability. Quick release steering assembly folds for easy storage. Quick release seat includes height adjustments to accommodate different patient heights. Padded knee platform with easy adjustment mechanism. Oversize wheels are ideal for indoor and outdoor use. Limited Lifetime warranty on frame, ninety days on non-durable components. Large 7-1/4" wheels with sealed bearings. Knee platform measurement: 7" x 14"
Knee pad height adjustments: 13-3/4" to 19-1/4"
Adjustable handle height: 31-3/4" to 39-3/4"
Patient height range: 4'11" to 6'6"